What does it mean to have a Christ-centered identity? A small question with profound implications. 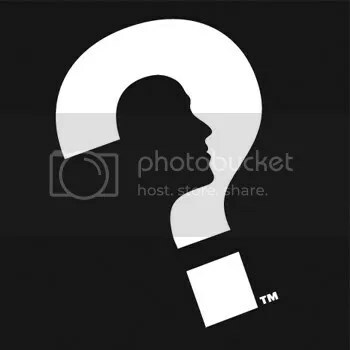 Did you know sociologists have discovered that how a person chooses to answer that question will define how they think and behave in almost every situation in their lives? It’s a scientifically proven fact, and as a result, your answer to the question “Who am I?” is a very, very important one. I personally believe that, for you and everyone else, the answer to the question “Who am I?” should be firmly rooted in who Jesus Christ was and is. If it’s not, then there’s a problem. Today I walked the Lake Merced Church through a lesson on living a Jesus-centered life that I’ve been mulling over for a while, and would love for you to listen to it too. Lesson based on Philippians 3. Here are a couple of diagrams I made (included in the PowerPoint) to illustrate the difference between a self-centered life and a Jesus-centered life as I see it. This first slide is a picture of a typical person’s life. You can substitute other things for the word ‘self’ – career, pleasure, lust, consuming want of a romantic relationship, fame, money, etc., but all of those ultimately lead back to the same thing – self centeredness. Some people may not be completely self-centered. Their life may be centered around something else – it may not even necessarily be a bad thing (like family or kids), but if Jesus isn’t involved then there’s a problem. As you can see from the diagram, choosing (and ultimately your core-idenitity is your choice) to have a self-centered identity affects every aspect of a person’s life, from their worldview, to their priorities, to their way of life, and all of these things feed into one another. 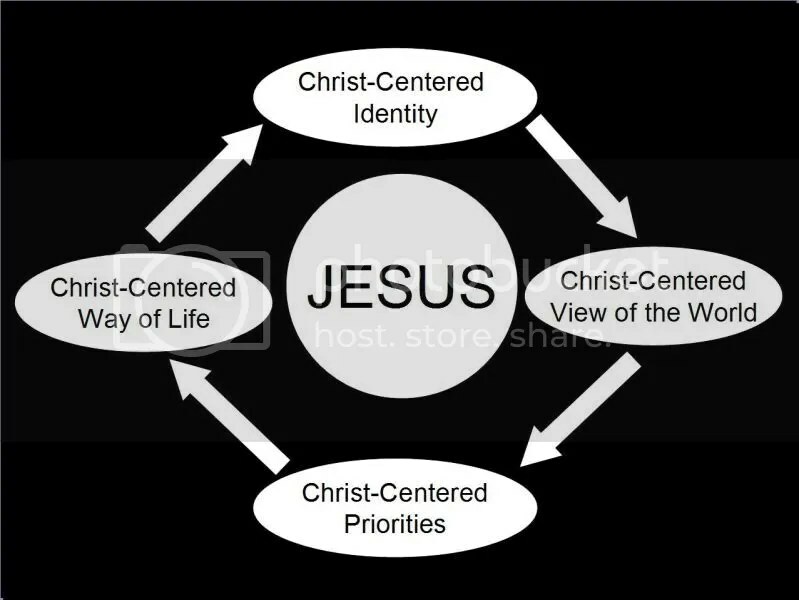 The second slide is a picture of someone who’s chosen to center their life around Jesus – a picture of a disciple. As you can see, with their identity rooted in Christ, every aspect is affected. The apostle Paul is a great example of a guy whose life was depicted by slide #1 until he had his encounter with Jesus on the Damascus Road – after that happened, he experienced a total identity shift (what we call a conversion or being born again), and he moved to slide #2! I go into this in more detail in the lesson. If that sounds interesting to you, give it a listen. If you like listening to preaching and would like to hear more, visit the sermons page of this blog (yes, I know it’s badly in need of an update – I’ll do it when I do it!). [This is Jim Woodell posting under Wes’ name] Wes’ mom and I are visiting in SF for the weekend, so I have invaded his space on the computer as well. Regarding our self-idenity: scripture refers to the saved as “saints” more than with any other term. Have you thought of yourself as a “saint” lately? For me, not often enough. I tend to focus more on how I have fallen short, when really it is not about me so much as it is about Christ and what he has accomplished on my behalf! I need to be reminded of this and then share it with others. Christ is good news! !